Hello Everyone! 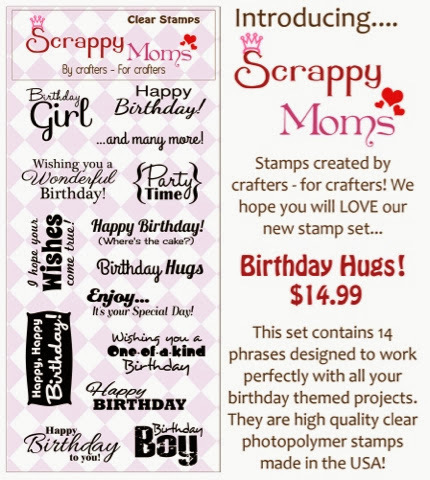 Welcome back to another day of showcasing the newest stamps from Scrappy Moms! I've noticed lately that I've been really like the clean and simple look of cards. So, I've been trying my hand out at it. I really like how today's card turned out. I started without the sequins but decide it was just a wee but to plan for me.... I'm taking baby steps :). Today I'm using the Birthday Hugs set and this is such a great Birthday set to have in your collection! And here is the card I create. It was quick and easy to put together thanks to its simplicity :). 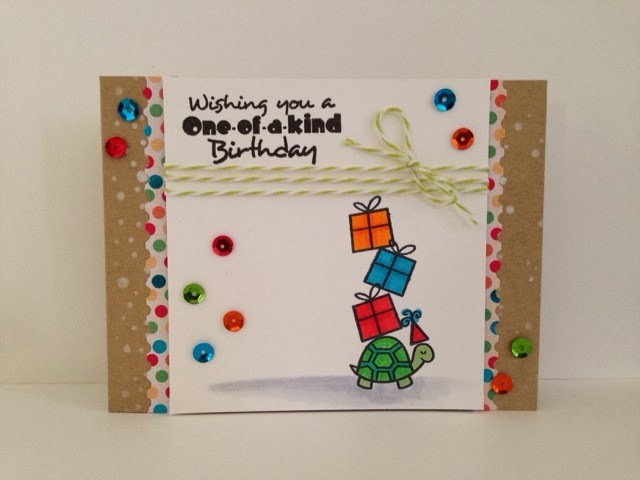 This little birthday turtle stamp set from Lawn Fawn put a smile on my face and I just had to use it for this release :) The white dots that you see on the Kraft Cardstock is actually the falling snow stencil from Simon Says Stamp but I thought it sort of looks like confetti! Hope you guys enjoyed this card. 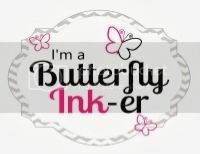 Be sure to check back soon for another project for Scrappy Moms Stamps November Release! Also, be sure to check out the other designers great creations by clicking their name in the right sidebar.